Many scientists say that reaching absolute zero is a lot like traveling at the speed of light: impossible. Well, some MIT scientists almost pulled a Doc Brown and got a lot closer to the impossible goal by cooling a molecule to 500 nanokelvins. That’s just above absolute zero and about a million times colder than interstellar space. This is a new record, and it took a lot more than a really powerful freezer to pull it off. The members of the MIT-Harvard Center of Ultracold Atoms combined a few different cooling methods to create ultracold molecules. Initially, the team used evaporative cooling methods—this basically amounts to cooling air by evaporating water. Then they used lasers to bring down the temperature of sodium and potassium atoms close to absolute zero. Lasers have a very special — one might even say, defining — property; all of the light is emitted at exact the same frequency. Now, normally, neutral atoms don’t interact with light at all unless the frequency is exactly right. But if the atom is flying toward the light source, the light will get Doppler-shifted, and the light will appear to have a higher frequency than it would otherwise. The atom absorbs a lower energy photon than it would otherwise. So if I tune my laser slightly low, fast moving atoms will absorb those, and when they subsequently emit a photon in a random direction, they will, on average, lose some energy. Do this again and again and again (and keep tuning your laser in the process), and you can cool down your gas to temperatures of less than a nanoKelvin, a billionth of a degree. It gets even more extreme. 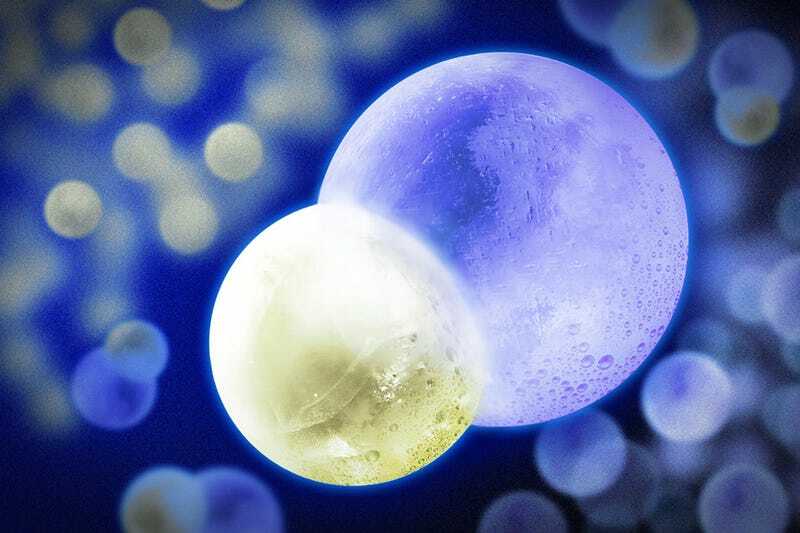 The world record lowest temperature is less than one ten-billionth of a degree above absolute zero. These devices typically involve trapping individual atoms in magnetic fields. The “temperature” isn’t so much based on the motion of the atoms themselves, but on the spin of the atomic nuclei. That was the old record. The MIT team got this far and then used magnet fields to bind the sodium and potassium atoms together and form a so-called “fluffy” molecule of slowly vibrating atoms. They calmed the atoms down further by blasting lasers again that, as the MIT News Office explains, employed a “large frequency difference [that] exactly matched the energy difference between the molecule’s initial, highly vibrating state, and its lowest possible vibrational state.” In other words, they got the molecules to stop moving almost entirely, which—we think—is what happens at absolute zero. In many ways, the fun is just beginning. “We are very close to the temperature at which quantum mechanics plays a big role in the motion of molecules,” says MIT physics professor Martin Zwierlein, who led the research team. Essentially, this breakthrough might lead to the creation of new states of matter, and thus new materials for humans to build with.